Feel confident taking it everywhere. It doesn´t look like a mattress so show it off! Perfect for daycare, hotels, grandparents’ and babysitters' house, camping, sleep-overs, parks and more. When we searched online we found a lot of these kid couches that folded open into a bed… but most of these were too soft and also too bulky to travel with and they were also filled with popular cartoon characters or action figures and we just wanted something simple. 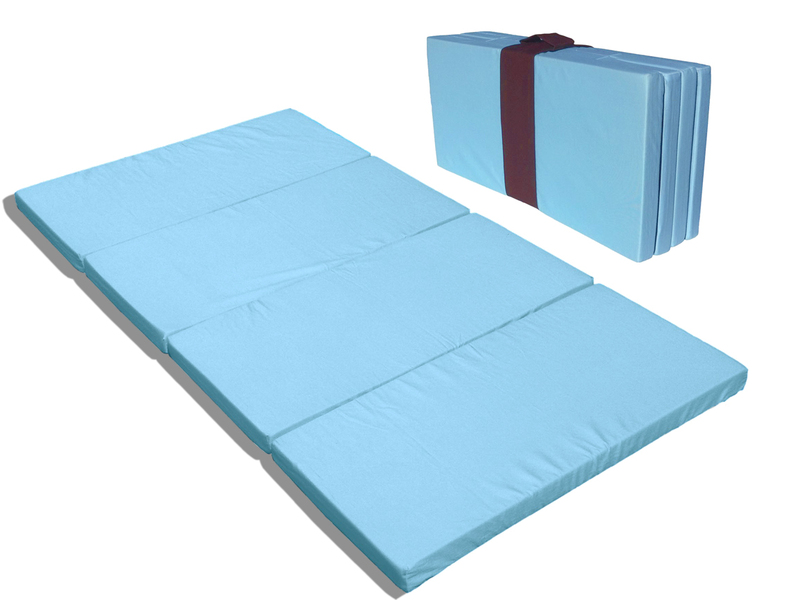 We also found nap mats which are no more than a sleeping bag that provide no support or comfort… so then we thought, why not just expand on our original idea of the Smart Play Yard Mattress Topper?... and the Big Kid Sleep Mat was born. Just like the first time, we wanted it to fold in such a way that the colorful side of the Mattress faced outwards when in the folded position. So we experimented with a number of connecting hinge ideas before deciding on the ones we have now, which also keep the 4 panels close together and thus not separating while in use. And as always high quality non-toxic components was a must, as was continuing to proudly manufacture in California, USA. We are very proud of our MamaDoo Kids Big Kid Sleep Mat and believe that you and your child will be very happy with yours!